Here it is... the moment you have all been waiting for i'm sure. 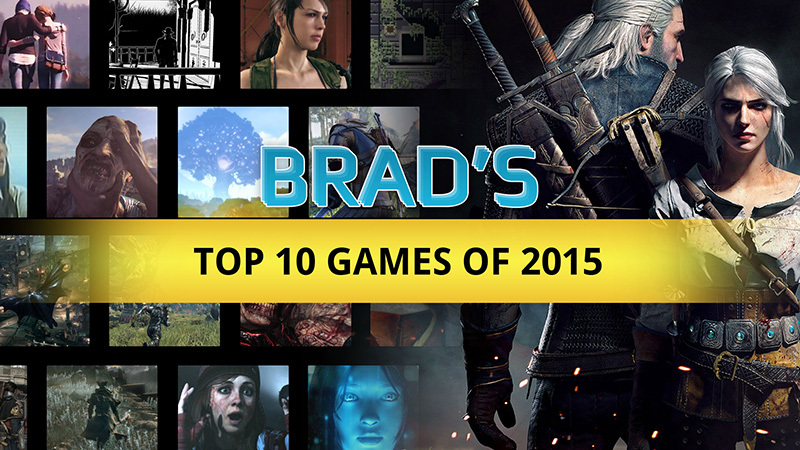 Brad finally shares his Top 10 games of 2015 and as one might expect, he had to make some tough decisions! Check out the video to find out which games made the cut. Tune in tomorrow at 10:00 AM (CST) for Chris's list! I completely expected undertale being your number 1. Color me surprised at your number 1. Your list has some pretty interesting variety on it. Thanks for sharing your top 10. Also your number 8 has amazing music I find myself listening to the soundtrack on a pretty frequent basis, and agree that it is a great xcom style experience. Your number 5 is also in a well deserved spot, and I just want to personally say that when I first saw you rave about it I picked it up and after 70 hours into the game it is getting higher and higher on my personal list of top games this year. I love how off the top of your head the commentary is and this is a pretty great list all around. Very surprised with your number one. I can't wait to pick that up myself, it looks like so much fun. Like you Brad, I have complaints with Witcher 3 in terms of it's combat and it's systems. I feel I don't hear or see many people talk about them, so it's nice to see someone on the same page as me.